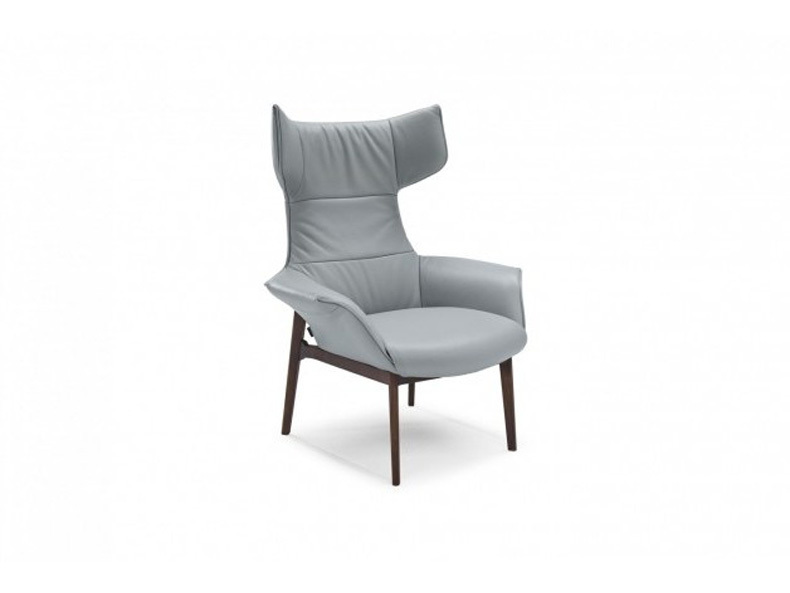 The Aura chair, designed by architect Claudio Bellini, is a blend of craftsmanship and modernity. 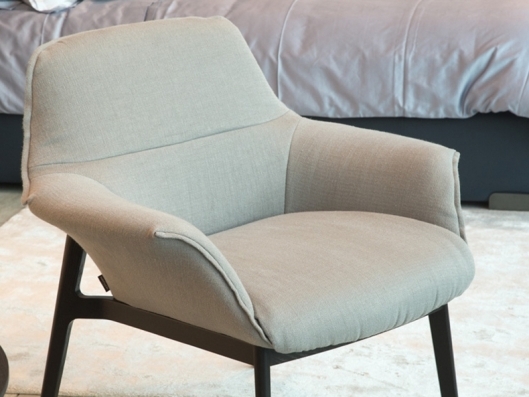 The innovative design is hallmarked by gracefully contoured wooden feet that support a generous, comfortable seat. Aura is a prestige element both for the living area and the bedroom. 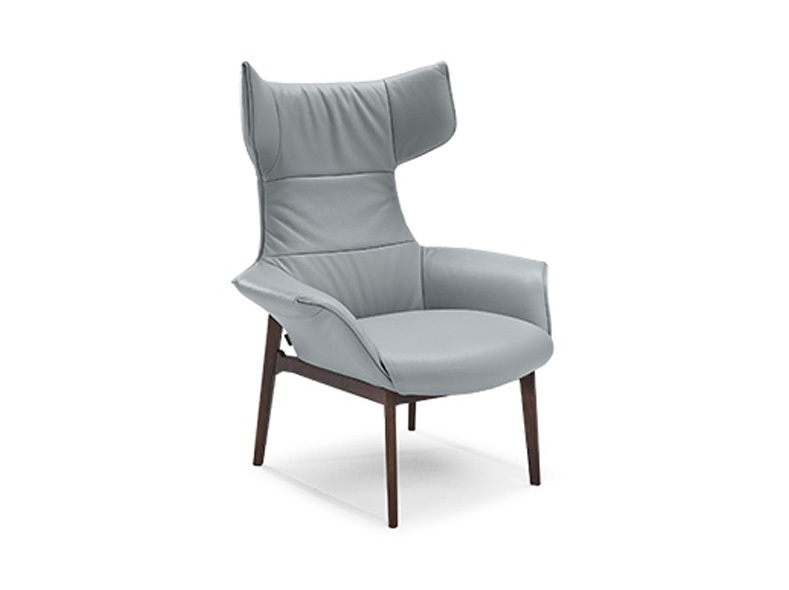 Available in two versions: high or low backrest.